Reading and reviewing The Translation of Father Torturo, with its themes of Catholicism and amorality, left me fancying a little Gide, and so here I am. A review of an established classic such as this seems rather redundant, and indeed part of my reason for reading it was to read something I wouldn't have to review, giving me a chance to catch up on all those reviews that are currently unfinished. But reading this book was a revelation to me, for reasons noted at the end of this post, and I was determined to share my discovery. Before that, I will say a few words about it; to do otherwise about such a marvellous book would almost be criminal. This was a excellent short novel, though Gide himself I think would have described it as a recit (please excuse the lack of accents throughout this post). It concerns Gerard Lacase, who upon visiting an abandoned house with friends tells them how he first came there as a young man. His professed purpose in visiting le chateau de la Quartfourche was for research, towards a degree, but other things were on his mind from the very beginning. "Je sais de reste ce qui l'attend sur le sentier de la vertu; mais l'autre route?... l'autre route..."
The less virtuous path is that of the novelist: "des qu'on se croit ne romancier on s'accorde aussitot toux les droits". From the house and its occupants he wishes to extract every possible morsel of material for his fiction. Upon discovering the image of an absent mother, Isabelle de Saint-Aureol, he becomes determined to meet her, and to win her confidence. He pursues her as if in love, and the reader may wonder as to the lack of effect that the revelations of her poor character has upon his ardour. This is a woman, for example, who has abandoned her disabled son to the care of her parents; a son disabled, it is implied, because she strapped down her stomach to keep her unplanned pregnancy a secret. ("On attribue l'infirmite de Casimir aux soins que sa mere avait pris pour dissimuler sa grossesse ...") Gerard watches her steal jewellery from her family, and yet his attraction to her is undiminished. The answer is that his interest in her isn't truly that of the lover, it's that of the novelist, romancier rather than romancer. "Cette nuit que vous l'attendiez, prete a fuir avec lui, que pensiez-vous?" he asks with a particular lack of sensitivity about the night her lover died. An alternative reading is perhaps possible – he does after all say to himself disappointedly, realising the impossibility of eliciting love from cruel, selfish Isabelle,"est-ce la comme elle savait aimer?" But he then says of her, "Je ne sentais plus aucun desir de la questionner davantage; subitement incurieux de sa personne et de sa vie, je restais devant elle comme un enfant devant un jouet qu'il a brise pour en decouvrir la mystere ..." Her mystery revealed, her story told, his interest evaporates, he moves on. She is unchanged, and perhaps unchangeable, but he is not. His experiences have after all led him to the path of virtue: a real affection for young Casimir, for whom he provides a home. The novel suggests there is yet hope for those of us who, seeing someone in distress, has first or second the thought: this would make a good story. However, my original reason for blogging about this book lies not with its content, but with the way in which I read it. What I realised here was that I could buy a French dictionary for the Kindle, set it temporarily as the default dictionary, and so use it to instantly look up the words I didn't know while reading a French novel. For anyone studying a foreign language, that makes the Kindle an utterly essential purchase. Of course, little of this will come as a surprise to our American friends, who have had Kindles for years, but it's only been out in the UK for a few months, so we're still catching up. The dictionary I bought was the Merriam-Webster French-English Translation Dictionary . I would have preferred a French-only dictionary too, because it's better when reading in a foreign language to stay within that language as far as possible – to build a framework of words that stands alone, rather than one requiring the scaffold of your English – but I'm sure one will be available before long. As well as helping English people to read French books, how phenomenally useful the Kindle and its built-in dictionary must be for people learning English as a foreign language! If using the Kindle in this way, I recommend upping the font size quite a bit, making it easier to zip around the page to find definitions. The selection of French books on Amazon is not terrific as yet, the vast majority being texts also available for free via Project Gutenberg, so that's a good place to start. Bookmark http://m.gutenberg.org/ on your Kindle for easy access to the mobile version. 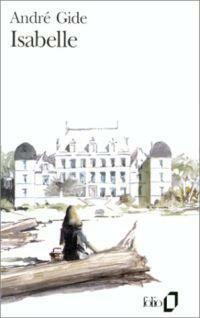 Here are direct links to Flaubert, Dumas, Stendhal and Jules Verne. Isabelle, Andre Gide, Project Gutenberg, Kindle edition, 1215ll. What have you sent for me lately? Is the apocalypse too depressing for TV?